Welcome to the Anne and Jerome Kaplan Learning Center. Here visual artists can learn what they need to know about how to organize and care for their artwork. Their heirs can also gain information on how to manage that work. 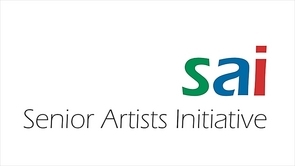 The Center was the goal of Anne Kaplan, the Founder of Senior Artists Initiative (SAI). Anne’s husband Jerome was a prominent Philadelphia artist who served as chair and professor of the Printmaking Department at the University of Arts in Philadelphia. His art is part of the collections of numerous museums, including the Museum of Modern Art, the Philadelphia Museum of Art, and the British Museum. When Jerome died in 1997, Anne was faced with the task of organizing and distributing his work. She learned much about what artists leave behind and what they could do during their lifetime to make the inheritor’s job easier. It was that realization that led to her founding the Senior Artists Initiative in 1998. In 2012 Anne retired from the SAI Board of Directors. Her dedication to helping artists and their heirs was the driving force behind SAI, its accomplishments, and this Learning Center. It with a debt of gratitude to Anne Kaplan that SAI welcomes all to this Center. Please click a link to access and/or download our learning materials.